The Art of Michael R. Gaudet: "Dancing with Rejection"...the NYC connection! "Dancing with Rejection"...the NYC connection! My last post lamented that fact that the "Interior Formatting" of my upcoming memoir "Dancing with Rejection: A Beginner's Guide to Immortality" was making me crazy. Sure, I was able to figure out the formatting on my own computer...no problem. But when it came to uploading my impeccable file to my online publishing platform, everything went squishy and stretchy in a completely random way, or so it appeared to me. After trying and retrying about fifteen times, I grew increasingly frustrated. Seeing as how I am a exemplary specimen of male pattern baldness...I take after my Dad in this respect...I really do not have that much hair to pull out, so I was left without this pressure valve. All I could do was gnash my teeth and pound my fist on my desktop. Didn't help. I was still stuck, with my nose pressed against the glass, merely desiring to make it work, but left feeling impotent. I did, however, reach out to my social network and was richly rewarded when a friend named Annaleigh Sage Bergman, herself a recent kidney donor, stepped up to announce that she has the expertise to create the interior formatting. This is a crucial step that we must take in order to go to press! I was like, WOO-HOO! 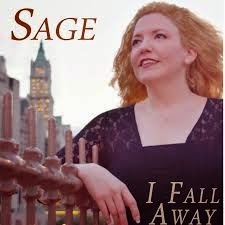 Sage is based in New York City and we recently met through the Facebook page Kidney Transplant Donors and Recipients that I founded about three years ago. As I drill deeper into this writing project, I am meeting more loving, supportive people who are all combining their unique skill sets to make it a reality. I'm humbled and grateful to everyone who has offered their help. You will read all about it in the "Gratitude" section of the book after it hits the press in the near future. Awaiting Proof Copies of "Dancing with Rejection"